Avg free antivirus is a trusted antivirus that able to Protect the windows PC from viruses with the latest technology. Avg free antivirus 2015 has a modern interface so make it easier for use. 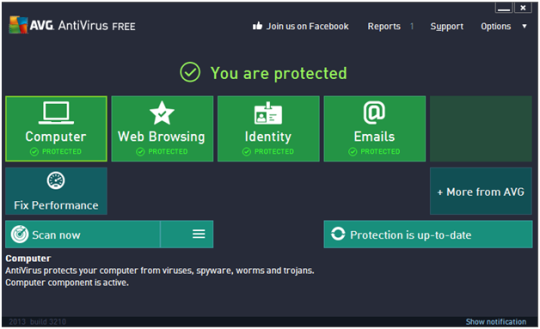 AVG Free antivirus 2015 help keep your personal information safe both online and offline. 360 Total Security Essentials is an antivirus that is deceptively simple in appearance but has good quality as a a free antivirus. An antivirus program is easy to install on the computer and so light when it is executed.